He is 2 weeks & 3 days old. Good thing we caught it on video. Mommy & Daddy is so proud of you! Today, I was motivated to diligently study the word of God. I caught myself exchanging thoughts with a friend (via fb) about false teachings. How sad it is to know the truth that there are many being deceived, even inside the church. I am concerned by those people who wanted to "repackage" scriptures just because of fear that it will become "too heavy" to those who will hear. My heart just wants to shake their heads!! What are they thinking? Of course it will pierce the audience's heart because the word of God is a double edged sword! Is that coming from a heart of fearing man? It is sad to see them growing in numbers but being preached by someone who present the word out of context. I pray that this person will be put to stopped and for tbe flock to be protected. And as for me, it pushes me to persevere. I'm on my 2nd wk of my 2-months Bed Rest and I came to a point that somehow I feel "panicky" (also known as naloloka-of-not-doing-anything). My life right now is the complete opposite of my lifestyle 2 weeks ago. I feel that my body is getting weak due to lack of movement. Maybe I'm depressed? No matter how i communicate the boredom that I do have to anyone, I get responses that felt like that they do not get me. I came to the Lord for help. I cried out to God on how to be still in the midst of stillness, quietness, silence. And I know that He's the only one who can understand my deepest need. The Lord then lead me to these verses in Psalm 23. V1. The Lord is my shepherd. I shall not want. "The Lord is my shepherd" - my carer, my leader... I have nothing to worry about because He is always with me. He is always one-step ahead of me, & always there to attend & take care of my utmost need. "I shall not want" - my only desire, my utmost desire. I shall not want anything & find contentment only in Him no matter what the circumstances are. "He makes me" - even if I do not agree or feel likr doing so, He makes me, puts me in a place that is good for me. Where I am right now is the greener pasture. "Lie down" - he settles me, puts me to rest if I needed to. And right now, this my body & the baby needs this. "He leads me" - where He is leading me, there shall I find peace & refreshment. Indeed, the Lord is my shepherd, I shall not want. God assures me that this is His leading & it is good for me. He is reminding me that he is my shepherd & there's nothing I should desire above Him. And if there is any, this is His way of putting me on the right track. Last May 10, during our monthly check-up with our OB-GYN, the doctor told us something I did not see coming. Dra: "Ano bang work mo?" Me: "uhm.. " (thinking on how to explain what i do. I just said..) ".. sa Unilever po." Dra: "You should take at least 2 months bed rest"
Then the Dra explained that my placenta is totally covering my cervix (which I already knew from last week's ultrasound result. And thanks to google, I was able to understand it *somehow). She continued talking but it seems like my mind cant keep up with her. A lot is going through my head now. I shared to Dra that I've been having brown discharge at the end of the day after work (since this is my 1st pregnancy, I dont know if that's considered as "spotting" already). She said that my body is tired already & I am prone to bleeding. 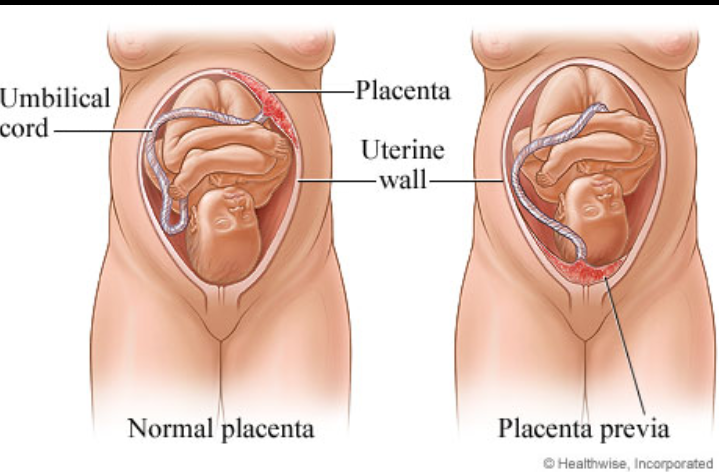 I need to have less physical movements until my placenta moves up. After 2 months, we will have our ultrasound again. Then we'll see what happens next. At first, it felt like I was not in the right state of mind. Maybe I was shocked. The 1st sunday I cried during the worship service as the song reminds me that our praises goes to God even if he allows the bad things in life. I cried because our baby doesn't deserve a mommy who is more worried with work & is having a hard time to obey. God is slowing me down & putting me on the right track as he prepares me to be a mom. He is indeed faithful with his promise to me that He will teach me how to raise a child before I got married. I'm on my 16th day now of bed rest. The first week, I was working at home preparing the turnovers to my boss, assts & colleagues. My boss took my laptop so I will not be tempted to work & they will be able to manage the work I will be leaving. I'm blessed with supportive teammates & having unlimited sick leave so our expenses will be covered as well. The 2nd week was rough as it sinks in the sudden change of my routine, social life & lifestyle (will talk about that more in the coming days). I pray that in this new journey that I am in will be ever so productive with God's grace. Hope you can include me & baby in your prayers. New blog title: a life with God? Its been a year since my last blog here. I changed the title of my blog to - "A Glimpse Of Life with God". At 1st i was kind of hesitant because my previous blogs (1st few yrs) are clearly does not depict a life with God. There's hatred, cursing, angst... a complete opposite of God. I was thinking, should i make a new blogsite? But then i decided, to just retain this. For this is the reality i shouldn't hide or be ashamed of. My God took my shame when He chose to die for me in the cross. To all those people whom i've hurt in my previous blogs, i'm sorry. And i hope you'll forgive me. I just asked God to be my lover. I think He heard me, for i feel the peace in my heart. God, you are my lover, now & forever. It was my 26th birthday that i realized how much i allowed the circumstances around me just to pass me by. I realized that i have spend much of my time in working. I am becoming one of those corporate exec who are extremely busy. And i must say, it is indeed a sad life, though God has been faithful, giving me peace everyday & sustaining me. That's why ithought i was doing just fine. Weekend after my birthday, i just woke up, crying. I cried to God how sad i am. How did i end up here? I realized i have been sad long before i know. But God is so sweet. I found myself crying my heart inside the car at a carpark due to the failed attempt of surprising my fiance (by doing so, i thought i'll be okay). I texted my 2 closest friends. And in just a matter of minutes, they came to comfort me. I am greatly touched by their effort, concern, and love. Thank you God that i have friends like them. They told me, they noticed i stopped doing what i love. I stopped my photography hobby, i stopped dancing, i stopped traveling. Wow, God, i never thought of this. If it's not work, i opt to rest so I can work. Pathethic! Oh, dear God, thank you for bring patient with me and hearing my plea. Thank you for your mercy and love. Please help me to lift up my eyes on you for my help is on the way, you will not delay. Your promises are true. You are my refuge and strength. Thank you Father. In Jesus name, Amen. I have never been so content and at peace with my brothers and sisters in Christ. I can feel the love of God and His care as well through them. Thank you so so much. I love to spend every moment with them. My BlogStraight 2 ur INBOX! Job Seekers - Where to Seek? Get P15 for every ChurpChurp referral!